Michael Jouver met Kim and Chavi via mutual friends back in 2009 and instantly became a Divotee. His alter ego ‘DonnaTella Howe‘ also became their entertainment wrangler and hostess for their yearly Divas Take the Hill Pride kickoff party and has appeared as himself and “herself” in many TDRE videos. Having been an avid subscriber to their newsletter – Michael Jouver not only wanted to become a Diva Dweller when the time was right but more so because he really wanted to be profiled in the Diva Newsletter as is common with other clients in the diva sphere. August of 2012 he bought his first home and shortly thereafter got his newsletter wish. Almost three years later he is now apart of the team, having left the world of healthcare for new and exciting adventures with Team Diva & looking forward to making more homeowner dreams come true! What does Michael do every morning before he gets to the DivaHQ? Well..at the moment its sleep right up until I have to get up. My cats (and alarms) generally try to get me up earlier and I’m hoping to craft a solid morning routine since we have a later start to the day than my previous job. I have managed some mornings of having a little breakfast and or work. My goal is to have a solid morning start, we shall see. What does Michael do in his free time? My schedule always varies, I like to try and keep up with life at home and perfecting my Diva Dwelling. 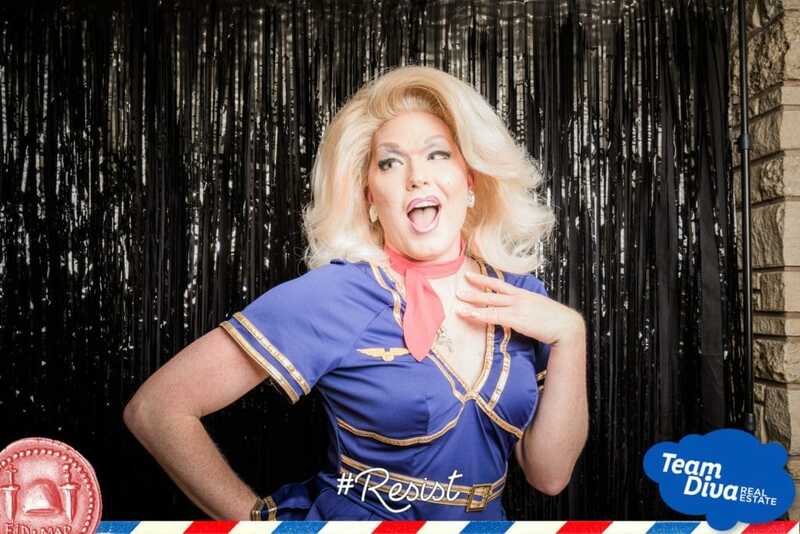 I do a good bit of drag around town as DonnaTella. Hosting some of my own shows, working with fellow Diva Dweller, Sylvia O’Stayformore, and guesting/supporting others events and fundraisers. Otherwise, I enjoy spending time with my friends and hopping about our awesome city and heading up to Anchorage, Alaska from time to time to see one of my best friends. Where is Michael’s favorite spot to grab a bite? I love Hana Sushi on Broadway, brunch at Terra Plata or late night/early breakfast at Glo’s! There are so many options in Seattle and especially so on Capitol Hill. I’ve fallen in love with Cafe PettiRosso thanks to the Divas! Oh and I finally got into Marination Station thanks to Roy, I can’t believe I’ve been missing that goodness! What is Michael’s favorite morning beverage? Hands down, coffee. I’m not much of a coffee snob at all, I’ll make some at home to take with me or hit any joint that’s on my way to where I’m headed. Whether it is iced or hot it generally will have coconut milk and or a shot of hazelnut in it. It is perfection. Every day is different. It is free flowing. I have new opportunities and challenges while getting to help run the HQ. Working on all that we do allows me to flex some artistic license and work more in the community at large and see more of the city and surrounding area every day. What is Michael’s favorite local organization? A large part of my work as DonnaTella is with the Imperial Sovereign Court of Seattle fundraising for their scholarship and supporting other local organizations in their own fundraising. I’ve had so much fun working with PSKS and Velocity in tandem for diva events, they both do such great work supporting their respective communities. Last but not least, I’m proud to have supported projects for both Gay City and the HIV Vaccine Trials Unit. What is Michael’s favorite memory of working with a client? 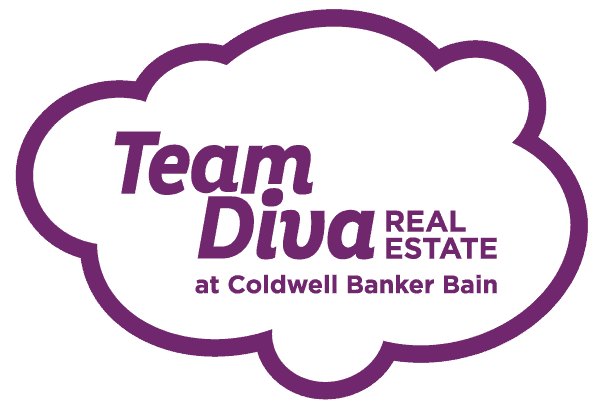 Joining when I did, I’ve been a small part of recent closings for both buyers and sellers, but I’m looking forward to my first full process with a new client and doing everything I can for them and Team Diva to make magic happen! Michael Jouver comes from an extensive background in customer service and management. Beginning with his first ever job with NWTrek Wildlife Park in the admissions office to retail with Express and two stints at Pike Place Market. He moved into the reservations office at the Fairmont Olympic Hotel for his first full-time job until the recession in 2008 which brought him the opportunity to join Minor and James Medical as a scheduler and later a lead scheduler before finally becoming a patient care coordinator. Along with his social media savvy spanning Facebook, Twitter and Instagram, his aim is to create the best client experience possible.